Selecting the best nursing school in Georgia can be difficult. To make the process easier first look for a school that supports students towards licensure and beyond. A great way to measure this is through NCLEX-RN "pass rates." We have ranked the top 20 nursing schools in Georgia by analyzing current and historical NCLEX-RN "pass rates", meaning the percentage of graduates who pass the exam, out of the 53 RN programs in the state. Programs reviewed include schools that offer an Associate in Nursing (ADN/ASN), BSN, or Direct-Entry MSN Degree. Georgia is on the upswing of the nursing profession, and the state is committed to providing highly trained nurses to their patients. State employers are offering higher than average salaries, and leadership roles to individuals that possess their Bachelor's of Science in Nursing (BSN). The annual salaries for this particular role averages $20,000 more than an individual with diploma only status. Patient focused care is the future in Georgia and the state is fostering that philosophy with offering options to continue your education and potential. Becoming a nurse is a time-honored career choice that is made easy by lots of program options and a looming industry shortage. Students who are looking for the fastest path to RN licensure may wish to consider an Associate's Degree in Nursing (ADN). Offered through many community colleges in Georgia, the ADN is usually two years in length, or four semesters, and students graduate eligible to sit the NCLEX-RN licensure exam. Georgia has more than 20 colleges that offer nursing programs at the Associate's degree level. Local programs mean education is accessible for all. Considering which ADN program to pursue can be overwhelming for students. We've compiled a list of the few key factors to examine to make your decision-making process easier. Colleges and programs use accrediting institutions to help them meet and achieve educational standards. Specific to nursing, students should ensure that ADN programs carry accreditation from the Accreditation Commission for Education in Nursing (ACEN) or the American Association of Colleges of Nursing's Commission on Collegiate Nursing Education (CCNE). This information will be available on the nursing program webpage. Licensure is an important measure for your program of choice. The state is moving to a system wherein every school that offers an ADN program is required to be licensed, but at this time, students are encouraged to check via the school's website or the Georgia Board of Nursing website as to valid licensure status. Over the past few years, the rate at which students graduate and subsequently pass the NCLEX exam is greater than 85% through Georgia's nursing diploma programs. Part of the Technical College System of Georgia, West Georgia Technical College is part of a strong network of local colleges. WGT's program was designed to lead students toward an Associate Degree in Nursing, the National Council Licensure Examination for Registered Nurses (NCLEX-RN) and employment in the field as RNs. In recent years, colleges have become adept at showing tuition and cost information so that students have a clear understanding of their financial commitment to education. While costs do vary from school to school, the same elements have a price for each program. Items like uniforms, equipment, housing, texts and other fees may be rolled in with tuition, or may be computed separately. The College of Coastal Georgia has a per-credit hour tuition rate of about $100, with the average student enrolling in 12 credits per semester. Additional mandatory fees total almost $800 per semester. Books, uniforms and equipment can be purchased separately through recommended third-party suppliers. One of the reasons for the ADN's continuing popularity is that hands-on patient care learning is followed quickly by a job in the field. In about 2.5 years, students go from entry to RN. Additionally, local colleges are accessible to students in both urban and outlying communities, keeping housing costs and commuting costs reasonable when students are able to live at home. Many RNs begin as Licensed Practical Nurses (LPNs). For these nurses, specialty continuation programs exist to help bridge the gap between practical and registered nursing. These programs are popular because they take into consideration the LPN's prior education, making the total program shorter in length than a traditional RN program. Students have the choice to earn either an associate's or bachelor's degree in nursing through their LPN to RN program. The LPN to ADN is the fastest option, often taking just a few semesters of study to leave graduates eligible for the NCLEX-RN examination. Georgia Northwestern Technical College, for example, provides an LPN to ADN that takes just 3 semesters to complete. With a little more time, students have the option to earn a bachelor's degree in nursing through an LPN to BSN program. Georgia Southwestern State College in Americus offers one such program, giving students a foundational general education alongside a rigorous nursing curriculum which culminates in a BSN degree. All LPN to RN programs in Georgia will require a student to hold a current LPN license, be a graduate of an approved LPN program, and have completed any prerequisite courses with a passing grade, amongst other admissions requirements. With an investment of two additional years of schooling beyond the ADN program, students can graduate with a Bachelor of Science in Nursing (BSN) degree from one of Georgia's more than 25 undergraduate nursing programs. 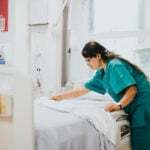 Labor data show that RNs with a BSN degree are able to be more mobile and flexible with their role in patient care, and are frequently accepted to leadership or managerial positions. BSN students look for a scientifically sound and culturally aware learning environment at their university. Faculty with leadership ability and deep experience in the field will help students access rich and collaborative learning opportunities both in the lab and throughout clinical rotation. As always, students are encouraged to make sure that the school is in good standing with accrediting bodies and that licensure after degree is an option. Albany State University takes pride in grooming nursing students for positions of leadership throughout the United States. With a BSN program at the core of its offerings, Georgia is striving to meet patient care shortages through degree programs like this one. Typically, a BSN program is 4 years long, which allows students time to work through clinical and classroom blocks of study with some time to pursue work or volunteer interests in the summer. Each institution varies, however, and some offer accelerated programs or RN-to-BSN options to help bridge the gaps in RN education as the labor market requires. Undergraduate degrees are not cheap, but some would argue that they're good value, considering the range of jobs that are available once you have your degree. The total cost of attending school is sometimes hard to decipher, but schools advertise their tuition for in-state and out of state residents, and give estimates for housing, food, textbooks and nursing equipment. One example of tuition is Columbus State University where tuition per semester is about $4,000; other fees are calculated separately. Students who earn their BSN degree have the advantage of providing more flexible career pathways that are only open to those who hold a BSN or higher. The trend in nursing is that as we age, we feel more equipped to move into administration or teaching and away from the hospital floor. This isn't possible with only an ADN degree. RNs can also access the RN to BSN bridge program to facilitate career growth. Determined to lead in your field? MSN or Master of Science in Nursing graduate degree programs are increasingly available to qualified nurses. While programs are highly selective, today's MSN programs are guiding nurses toward tomorrow's leadership, administrative and advance practice nursing. With roles in informatics management, nurse anesthesiology, pediatric nursing and other highly specialized roles, candidates that are interested in research, clinical care, administrative or teaching are welcome to apply to Georgia's more than a dozen online and on-campus MSN offerings. About 4 semesters for full-time coursework, the MSN programs in Georgia are also available part-time. Students may choose to take some courses online as offerings allow. Graduate level studies vary in their price range and admission requirements depending on the pathways a student chooses, demand, and space availability. There are some similarities in the core admissions criteria listed below. 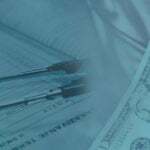 Tuition costs for MSN programs are much higher than their BSN counterparts with good reason. The quality and intensity of instruction is considerably more rigorous. For example, Clayton State University, located in Morrow, is about $600 per credit hour and students are expected to accrue a flexible amount of credit hours toward their degree depending on their specialty path. If you are looking for more career advancement opportunities or a wider scope of options upon graduation, then you should look at accelerated degree programs. 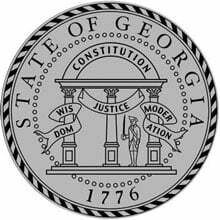 The state of Georgia has at least six known programs across the state. Accelerated programs have varying eligibility requirements, as some will require specific courses to be completed before entrance. These eligibility requirements could have an impact on the overall cost of the program, as most programs have a designated rate per course credit. Accelerated programs in the state are full-time commitments, but can be completed in as little as 15 to 24 months. Located in Valdosta, the associate’s degree in science from Wiregrass Georgia Technical College fully prepares students to sit for the NCLEX-RN examination and find gainful employment in the healthcare sector. This program provides students with the knowledge, skills, and attitude needed to practice as competent and safe nurses in the community. Visit the Wiregrass Georgia Technical College nursing website to learn more. The College of Coastal Georgia, located in Brunswick, offers multiple pathways to registered nursing, including an associate’s degree and a bachelor’s degree. The curriculum includes service-learning courses, community health-related education, and more to help students go beyond classroom-based learning and find success in the field. 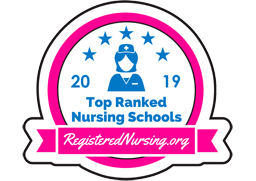 Learn more by visiting the College of Coastal Georgia nursing website. Chattahoochee Technical College in Marietta, Georgia is an extolled provider of RN training in a bustling urban environment. Graduates from CTC are highly sought after for their professional and practical skillsets. Check out the official Chattahoochee Technical College nursing program. Kennesaw State University's WellStar School of Nursing is the biggest nursing program in the northern half of the state of Georgia. Widely acclaimed for its BSN, graduate, and post-grad nursing programs, KSU produces graduates that outperform the national average for state licensure. Learn more by visiting the Kennesaw State University nursing website. Georgia College is home to a highly competitive BSN program. In addition to bridge programs and MSN degrees, students have the benefit of attending classes on the picturesque Oconee River. 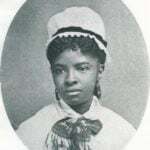 Learn more by visiting the Georgia College nursing website. Barnesville's Gordon State College is home to exciting and innovative nursing programming and facilities that help nursing students become confident and competent RNs. GSC graduates are a valuable addition to any healthcare team. Check out the official Gordon State College nursing program. Located in bustling Albany, Georgia, Albany Technical College is home to a widely acclaimed RN program. Experienced faculty help prepare students for nursing positions throughout the state and beyond. Visit the Albany Technical College nursing website to learn more. Gwinnett Technical College’s Lawrenceville campus offers multiple ADN options, including a traditional pathway, an LPN bridge option, and a paramedic bridge option. This ACEN-accredited, board-approved program is the first step to a career in nursing, and prepares students to gain licensure through the NCLEX-RN examination. Follow the link to learn more about the Gwinnett Technical College nursing program. Vidalia’s Southeastern Technical College offers an excellent ADN program which prepares students for a rewarding career in the nursing field. Enrolled students take courses in humanities, social sciences, natural sciences and more to develop the knowledge, skills, and critical thinking necessary to find success as compassionate, caring registered nurses. Visit the Southeastern Technical College nursing website to learn more. Demorest, Georgia is a city with a small-town feel. Home to Piedmont College, nursing students have the opportunity to learn and grow within their field and their community. Visit the Piedmont College nursing website to learn more. Atlanta’s Emory University offers multiple BSN degree options for those wishing to become RNs. The curriculum allows students to learn in both clinical and classroom settings, and graduates are prepared to sit for the NCLEX-RN examination. Visit the Emory University nursing website to learn more. Abraham Baldwin Agricultural College, located in Tifton, offers a widely respected Associate of Science in Nursing degree that has been in operation since 1966. With a traditional track and a one-year bridge option available, enrolled students are well-prepared for a successful RN career. PLEASE NOTE: Bainbridge State College merged with Abraham Baldwin Agricultural College as of January 1, 2018. For more information please refer to http://www.bainbridge.edu/consolidation-faq/. This particular ranking refers to the Abraham Baldwin Agricultural College program per-merger. Follow the link to learn more about the Abraham Baldwin Agricultural College nursing program. Lawrenceville’s Georgia Gwinnett College offers a BSN degree pathway with an emphasis on faculty mentorships, innovative practices, and affordable tuition. Their modern facilities include a state-of-the-art simulation lab, health care setting lab equipment, and more. Learn more by visiting the Georgia Gwinnett College nursing website. 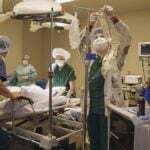 Middle Georgia State University offers multiple RN pathways, including a pre-licensure BSN program. The curriculum includes courses on essential skills, humanities/fine arts, social sciences, and much more to provide a well-rounded base for future RNs. Get all the program details by visiting the Middle Georgia State University website. Macon's Wesleyan College provides students with a BSN program which begins with a rigorous liberal arts base, followed by the nursing curriculum. Wesleyan's holistic approach emphasizes women's health issues, and 120 total semester hours are needed for graduation. Check out the official Wesleyan College nursing program. With a two-track undergraduate program, Georgia Baptist College of Nursing at Mercer University is an institution that nurses hold in high regard. Both BSN and MSN students thrive with big-city opportunities found in Atlanta, Georgia - the college's home. Visit the Mercer University nursing website to learn more. South Georgia State College's Associate of Science in Nursing program weaves together classroom learning and clinical experiences to give students a solid nursing foundation. Emphasis is placed on professional conduct, effective communication, and top-notch clinical skills. Learn more by visiting the South Georgia State College nursing website. Augusta Technical College boasts a competitive 72-credit hour ADN pathway that is both board-approved and ACEN-accredited. Graduates of the program have an over 90% first-time licensure pass rate. Get all the program details by visiting the Augusta Technical College website. LaGrange College serves students in the community by offering a BSN program for aspiring RNs. Enrolled students take courses in Nutrition and Health, Pharmacology, Medical-Surgical Nursing, and much more. LaGrange also offers service opportunities and medical missions in international locations. Visit the LaGrange College nursing website to learn more. Georgia Southwestern State University, located in Americus, offers a traditional BSN program that prepares students for successful employment in the nursing field. Enrolled students take courses in mathematics, sciences, language arts, social sciences, and more. Learn more by visiting the Georgia Southwestern State University nursing website.